InterCasino celebrates its 12th birthday today which makes them the oldest online casino. Its hard to believe that it was 12 years ago to the day that they opened their cyber doors for the first time. To celebrate they are having a Birthday / Christmas party for the whole month of December. Have a look at their promotions page to take part . The Topboss Group were busy bees today as we moved into our new offices which are much nicer than our existing ones. It is a lovely house that we bought, so its a much more friendly environment for everyone and our boardroom has a view of the swimming pool, so we are going to enjoy our meetings in future. Whether we will get any work done is anyone’s guess, as the pool is very tempting in view of the hot weather we are having!!! It was quite a sight watching our Office manager Jan and web designer Shaun lying on the floor on their backs with screw drivers in hand screwing the desks together… We didn’t realize they had the hidden skills of handymen too, so now we know who to call when the light bulbs need changing !!! Now we just need to keep our fingers crossed that our switchboard and ADSL lines gets installed tomorrow….. Finally some good news for our players resident in the USA. Superior Casino has advised us that they are welcoming USA Players with open arms!! 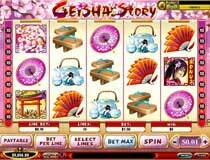 Not only that – they are also giving away $25.00 absolutely free to play on their slot machines. 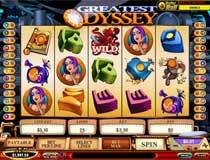 For those who don’t know – Superior Casino use the Rival Gaming Software which has a huge selection of slot games including islots which are slots with a difference as they have a storyline attached to them, and you get to go play different episodes and stages. This is our first post on our blog, so its best to start off with a bit of background information on the Topboss Group. Topboss was originally started in 1999 as a partnership with 1 website – namely Topboss SA . A few years later Casinos Crazy, Casinos on the web and Sterling Sevens were launched . Over the years more and more websites were added to our network which now boasts over 60 websites with more being added monthly. You can view a list of all our websites here. In 2005 Topboss Group registered a legal company and moved into office premises. We have a staff complement of 7 and our team consists of Andy and Heather who are the owners, Jan who is our Office Manager and IT expert, Frank who is our Financial Manager and Shaun, Yolandi and Charlene who are our web designers. We have a brilliant team who are efficient in all aspects of the internet business and without them we would never have achieved the success we have. We pride ourselves on operating in a reputable and honest manner, we do not do any underhanded dealings, practice any black hat techniques and basically ensure that we maintain an impeccable reputation.